Are you good at saltwater fishing? Find out for sure with this quiz! 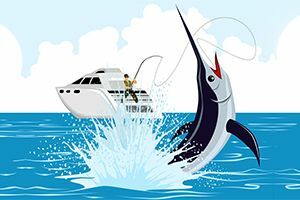 Answer these questions to find out if you're good at saltwater fishing! The answer may surprise you. Maybe you're an expert at saltwater fishing. Maybe you're not really much of an expert but are good at it. Or maybe you're terrible! Find out where you stand by taking this enlightening quiz.